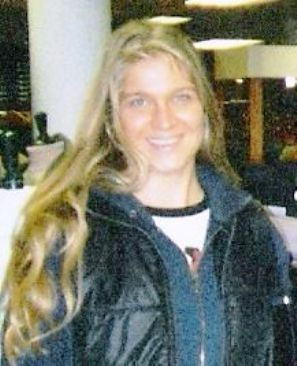 More damming evidence has been found in relation to the suspicious death of Swedish National Annie Börjesson and the discovery of her body lying on Prestwick beach on the morning of 4 December 2005. I have previously reported that a Swedish pathologist determined that Annie drowned in fresh water. This is strange as the last time I looked Prestwick Bay was full of seawater ie salt water. I am now informed by the family that diatoms taken from Annie's bone marrow have been tested by an eminent Professor of Forensic Medicine in Sweden and has concluded that such did not come from Prestwick Bay. Clear evidence yet again that Annie was drowned elsewhere and her body dumped in the Bay. Left: Annie Börjesson in happier times. Right: Annie caught on CCTV at Prestwick Airport at 3.15pm the evening before her body was found on the nearby beach. I hope to meet with Annie's family and friends in the not too distant future and assist them in taking their case forward to a full suspicious deaths enquiry which up until now has been denied by the Scottish authorities. Annie's death has never been properly explained. The Scottish Crown Office backed by the Scottish Police have closed the case determining that Annie committed suicide in Prestwick Bay. For all the reasons given above this cannot be true. Annie lived in Edinburgh and was about to start a new job. At the time of her death she was on her was home to Sweden to finalise some loose ends before she started work. She was bring home some overdue library books, she had made an appointment in Sweden to have her hair done in Sweden the following day. Before leaving edinburgh she had paid a months advance rental on her apartment, bought a leisure card, went swimming and attended a rugby game between Scotland & New Zealand. When Annie was found she was fully clothed except for her jacket which was found beside her on the beach. Although Annie's body, bag and her jacket were of different density they were all found at the same spot. The beach is very level where Annie was found, the tides goes out some 150 meters and you then have to walk a further several hundreds of metres before reaching deep water. When the tide is in it's not more than one metre deep where the seawall is where Annie was found. The Borgesson family refuse to accept the official explanation that Annie committed suicide. Annie's mum Guje, 55, of Tibro, near Gothenburg, said, "I walked out into the sea where Annie's body was found and after 220 metres the sea was barely at my knees. "If Annie, who was a strong swimmer, drowned herself she would have had to be out a considerable distance and it would be impossible for her body, bag and coat to have been washed up at exactly the same spot." Guje says other factors have convinced her that her daughter was murdered. "There were square contusions on one of Annie's arms along with several other areas of bruising. One was in the shape of a hand on her right temple." "We spoke to a member of staff at Linton Court Apartments in Edinburgh where Annie lived who said she saw my daughter at around 1.30pm on the day she disappeared." "She would not have had time to walk to Haymarket station, get a train to Queen Street in Glasgow and walk to Central Station for the connection to Prestwick to be there at 3.15pm." "We believe that someone must have driven her." 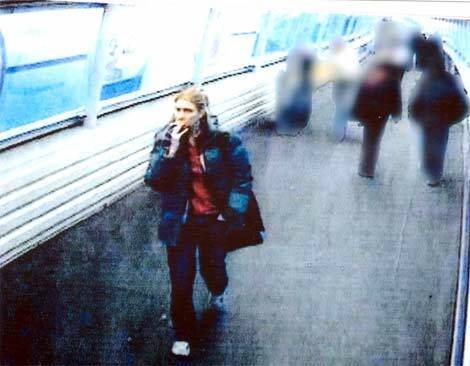 Annie was seen on CCTV walking from the railway station at Prestwick Airport to the Terminal Building.